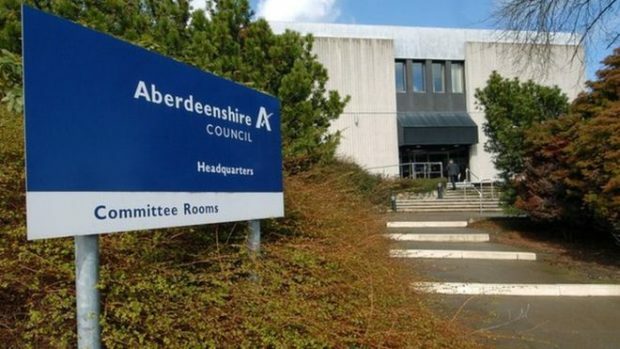 Bus services across the north-east will be scrapped in an effort to help Aberdeenshire Council save money. The authority has identified 27 routes that will now be withdrawn – to the dismay of many community groups and leaders. Alterations will affect Fraserburgh in the north to Laurencekirk in the south and will be felt as far afield as Braemar. There are even fears the cuts will prevent people from enjoying the Deeside village’s increasingly vibrant visitor offering. The council has cited “budget pressures” as the driving factor behind its decision to slash services that have been assessed as under-utilised. Money available for council-supported bus services is expected to be reduced by around £560,000 when the authority sets its budget later this month. To stay within budget for 2019/20, the council’s transportation service is reducing those bus routes it deems provide the least value for money. It has admitted the changes – which will come into effect from Monday April 15 – will have a “detrimental impact” upon passengers but has also warned further tough decisions are ahead. Among the communities affected will be Braemar, which will lose its last Sunday bus service connecting the town to Aberdeen. Aboyne, Upper Deeside and Donside councillor Geva Blackett expressed her disappointment and pledged she will fight the cuts. She said: “We’ve got the newly opened Fife Arms and there’s the new Highland Games centre. “There’s so much going on in Braemar right now, yet people will no longer be able to hop on a bus and come out and see it. “I am pleased that Ewan Wallace has made himself available for the public to contact where there is an adverse effect for individuals.